(1) This applies to initiation sites in base material and wrought products in structural elements remote from connections. It may also be applied to structures which have been effectively stress relieved. (2) Allowance shall be made for any pre-load or lack of fit in addition to the applied stresses. (3) The values of f(R) are given in table G.2.1. and fig. G.2.1. (1) This applies to initiation sites associated with welded or mechanically fastened connections in simple structural elements, where the residual stresses ares has been established, taking into account any pre-load or lack of fit. 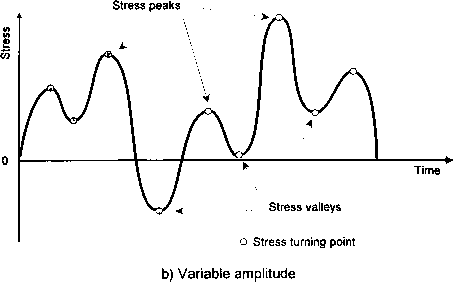 Reff = (2<jres - Aa)/(2ares + Aq) where Act is the applied stress range. (3) The values of f(R) are given in table G.2.2. and figure G.2.1. (1) This applies to complex structural assemblies where control of residual strersses is not practicable. (2) In this case f(R) should be taken as unity for all R-ratios.